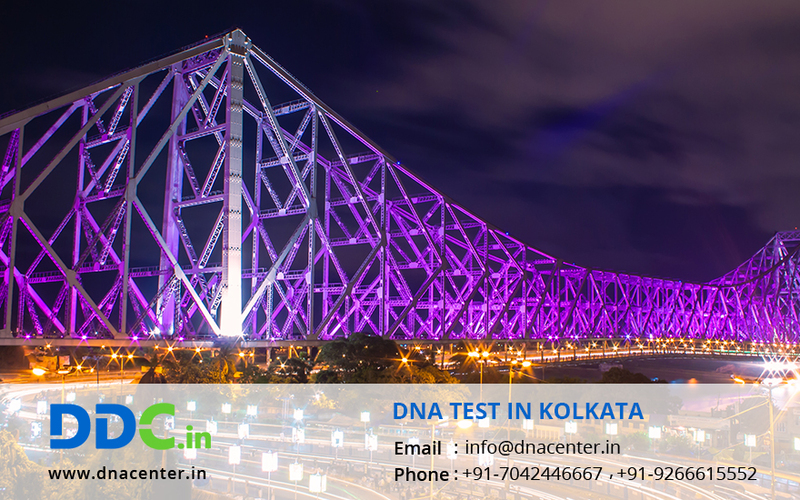 DDC Laboratories India has now opened its center DNA Test in Kolkata West Bengal. Our center aims to provide India with quicker and reliable results. Kolkata is a major city in the state of India. Being one of the biggest cities of the country and due to lack of sophisticated laboratory, DNA forensics has opened up its collection center. DDC Laboratories India is an AABBcertified Laboratory and assure quick and reliable results. There are various tests available for DNA like peace of mind which Invasive and Non Invasive test, Paternity test and maternity test. Sibling DNA testing is also ordered by courts these days in case of property disputes. DNA Test in Kolkata can be done to nab criminals. Criminal tends to leave a clue at the spot of crime. Forensics collect samples like saliva, blood etc and send for DNA testing. This eases the effort of judiciary and police. DNA forensic laboratory can disclose the long term drug history with the help of DNA test. DNA test is very useful for immigration purpose. DNA test is sometimes ordered by court as it is a valid legal proof of any relationship. Few countries have made it compulsory to prove relationship in order to get VISA. DNA tests are very beneficial in case of unidentified bodies. This may be done in case of disasters and natural calamities where the bodies have decomposed and cannot be identified. DNA test can also trace your past. If you are keen to know your whereabouts, evolution, migration, interbreeding etc then you can get DNA test done.